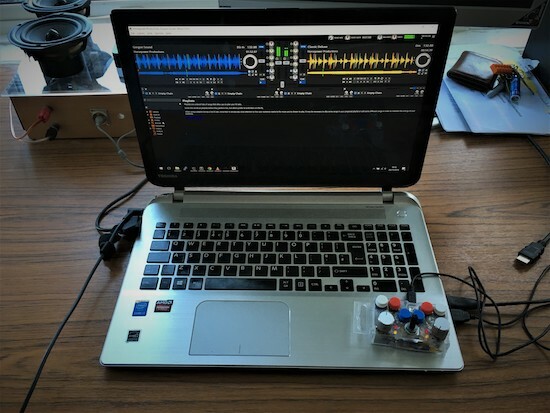 Electronic music seems to be ripe for hacking, as a new device can be fun as well as quite useful. 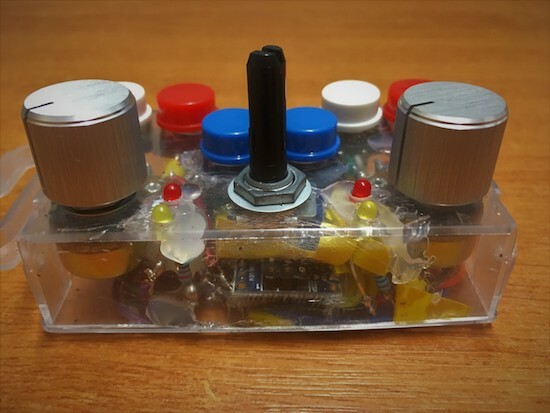 Imgur user “fatcookies” decided to create a small DJ controller using an Arduino Nano, six push buttons, three potentiometers, and four configurable LEDs. 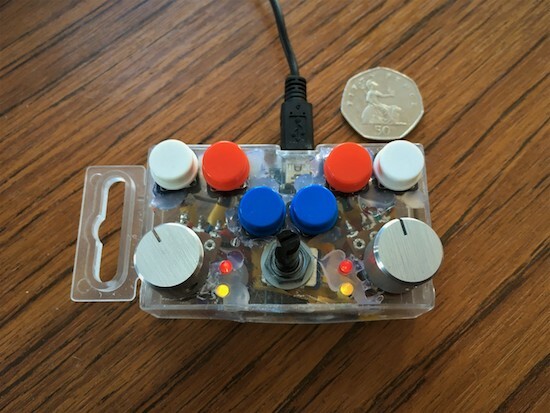 In this setup, each input is fed into the Arduino, then sent to a computer over USB to be used as a MIDI interface (with the help of a couple pieces of intermediate software). A neat build for sure, but what really sets this tiny beast apart is that it’s about the size of a notebook’s trackpad. The electronics are all stored inside a transparent nuts and bolts storage box, while fatcookies rounded out the design with some arcade buttons and brushed aluminium knobs on two of the pots. You can check out how to make one of these mini devices for yourself on the project’s Imgur page. a Noob here, it is possible to adapt to a Arduino UNO? how can i do it? i made a controller already but using a MIDI 5pin conected to the TX port.